Both pleural mesothelioma and peritoneal mesothelioma in Boston and worldwide has been linked to asbestos, research shows. 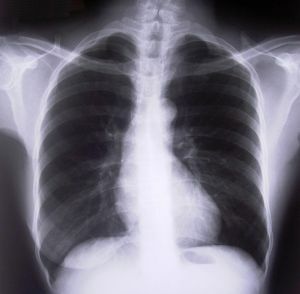 Pleural mesothelioma is the most common type of mesothelioma, making up two-thirds of cases, according to the Mesothelioma Center. Pleura are the membranes that surround the lungs and chest. While this form of cancer surrounds the lungs, it is not lung cancer. It is caused by exposure to asbestos and the microscopic flakes easily attach to the pleura, forming this deadly cancer. Peritoneal mesothelioma is less common, but equally deadly. The peritoneum is the lining of the abdomen. Asbestos, once ingested, can coat the lining of the abdomen and not only cause excessive fluid build-up, but cause tumors that can inhibit major organs. Boston mesothelioma lawyers are well aware of the effects of both of these forms of cancer. Many clients have met with us after having been exposed to asbestos and diagnosed with mesothelioma. Their family members endure the pain of knowing their time is limited. And it’s typically the companies where these people worked so hard for decades that ignored the risks of asbestos that led to the exposure. Recent studies out of Italy have linked both forms of mesothelioma to asbestos exposure. Italy has one of the highest rates of mesothelioma in the world, according to Surviving Mesothelioma’s website. Italian researchers used data from 1995 to 2002 to discover that mesothelioma was most common in the industries typically associated with asbestos, such as cement, shipyards, oil refineries and petrochemical industries. Another study looked at asbestos exposure specifically in connection with peritoneal mesothelioma. All peritoneal mesothelioma cases from 2000 and 2007 were examined and there were 110 cases. In 2000 and 2001, there were 515 pleural mesothelioma cases. The research found that both victims of pleural mesothelioma and peritoneal mesothelioma had similar levels of exposure to asbestos in the cases studied. Researchers found that 60 percent of victims were exposed in their jobs, while about 7 percent were exposed in their environment or through their family. In pleural mesothelioma victims, twice as many were exposed both at home and on the job. The study shows that some of risk factors for asbestos exposure can be controlled. For instance, if you live in an old building that may be putting you at risk for asbestos exposure in Boston, you can either move or get your landlord to fix the problem. The Massachusetts Department of Environmental Protection has standards about asbestos that must be followed. Sadly, if you worked for years in an industry that used asbestos regularly, either in construction or roadwork, working with cement, on oil rigs or working with boiler rooms, car parts such as brake pads or piping, there is little you can do now to avoid asbestos exposure from decades ago. However, the smart move would be to get checked for possible mesothelioma. While there are no known cures, researchers are putting time and effort into studying this form of cancer and there are new, radical treatment options that may be helpful. As with any form of cancer, catching it early is always the best move. See a doctor who specializes in asbestos-related illnesses and get checked out today. The Law Offices of Jeffrey S Glassman provides representation of victims exposed to asbestos who have been diagnosed with mesothelioma in Boston and throughout Massachusetts and New England. Call 1-877-617-5333 for a free and confidential consultation to discuss your rights.